Melanie Palmer joined Kiesel Law LLP in 2014, where her practice focuses on mass tort litigation against pharmaceutical companies and medical device manufacturers. Prior to joining the firm, Ms. Palmer was a Deputy City Attorney for the City of Los Angeles, where she prosecuted criminal misdemeanors and took four trials to jury verdict. Ms. Palmer earned her B.A. in Psychology from the University of San Francisco and her J.D. from the University Of San Francisco School Of Law. While in law school, she dedicated her time to juvenile advocacy. She represented minors in heavily contested dependency proceedings as a certified clerk with the USF Child Advocacy Clinic and the Children’s Law Center of Los Angeles. She also traveled to Phnom Penh, Cambodia, in order to further develop programs that provide free legal representation to wrongfully imprisoned Cambodian youth. 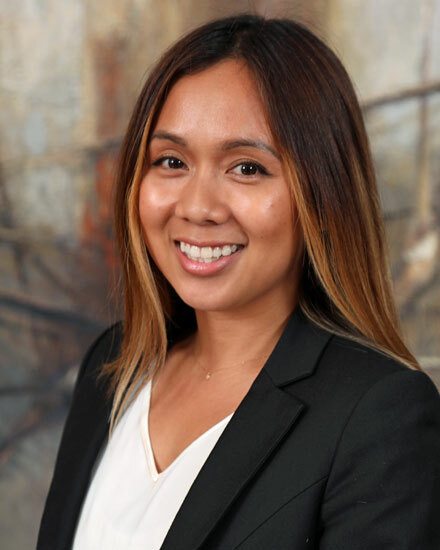 Additionally, Ms. Palmer served as the President of the Pilipino American Law Society and the International Faculty Chair of the Student Bar Association.